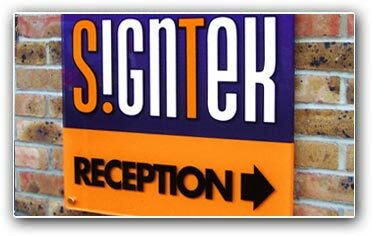 We are one of the most established sign companies in Sussex, having been based in the area for over 15 years. During this time we have built up a large and loyal customer base around the UK, and have continually invested in the most up to date equipment and skilled staff. We believe our portfolio of work speaks for itself, and is the best in Eastbourne. We employ dedicated graphic designers to ensure that every job we carry out is designed to the highest possible standard, and our skilled, experienced sign-fitters make sure that the signs stay up! We specialise in vehicle wraps, shop fascias, banners and screen-printing, and provide a wide range of high quality sign solutions. We aren't just normal sign writers in Eastbourne - we endeavour to carry out as much of the work as possible entirely in house, reducing costs to our customers and ensuring that we only offer the highest quality of work. You will have seen our shop signs, sign writing and vehicle wraps in Eastbourne and across East Sussex, but please look through our complete portfolio.